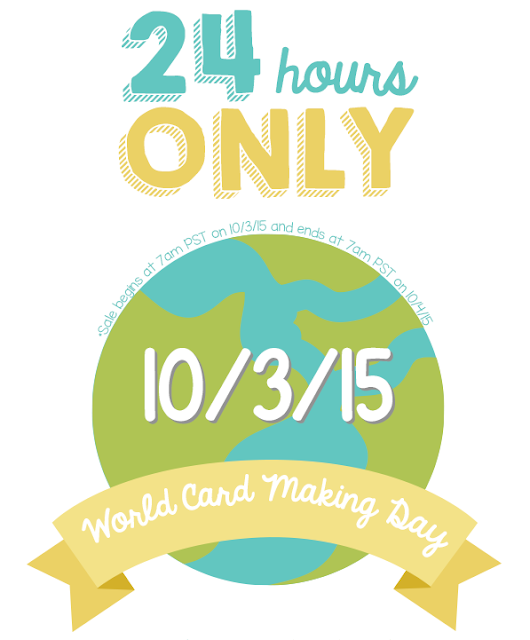 My Creative Time: HAPPY World Card Making Day! 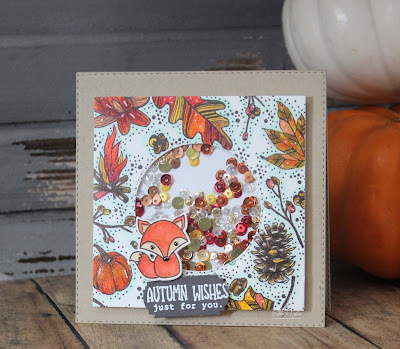 MCT 48th Edition Release Blog Hop!!! My Favorite Stamp of the Month! HAPPY World Card Making Day! Copyright Information All content included on my site is copyrighted Emma v. Aguilar. My projects & photos are shared for your personal inspiration & enjoyment only & may not be used for publication, submissions or design contests. So please don't claim my work as your own. Thank you. 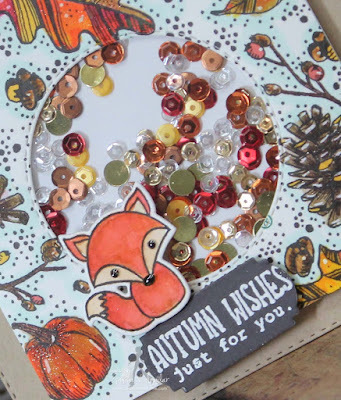 GOOD MORNING MY SWEET FRIENDS & HAPPY WORLD CARD MAKING DAY! To celebrate this AWESOME day, I thought I would have a 24 hour sale! You can start shopping at my store HERE & don't forget to used the code: WCMD15 at checkout to receive 20% off your entire "IN-STOCK" items only purchase! This sale ends on Sunday, October 4, 2015! You can start shopping HERE! Now onto my cards! Today I created a few cards for a challenge I am "trying" to participate in for ALL of the 30 days! ;) It is the "30 Day Coloring Challenge" with Miss Kathy Racoosin! I made 2 cards, this first one is for the FIRST day! 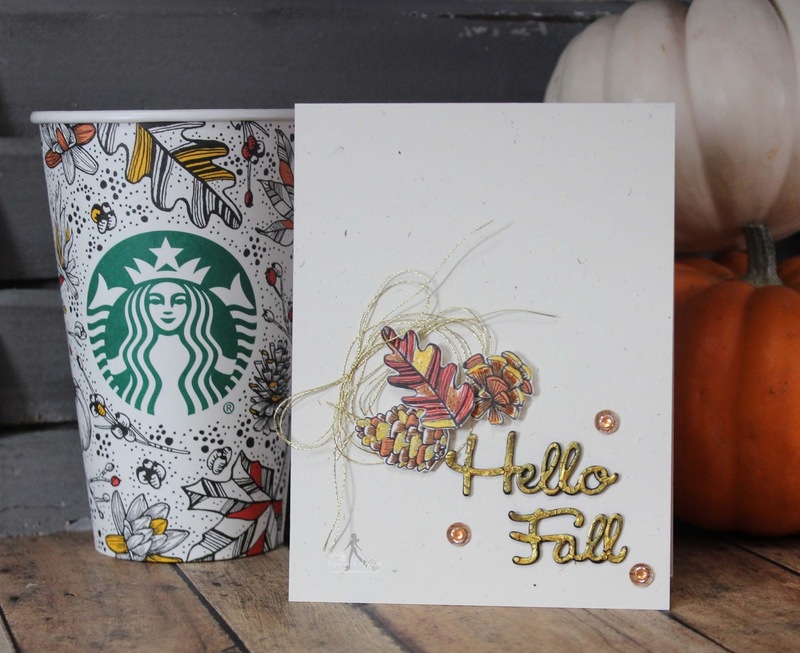 Well, Miss Kathy had this FABULOUS idea to color in those AWESOME cups that Starbucks is using for fall! 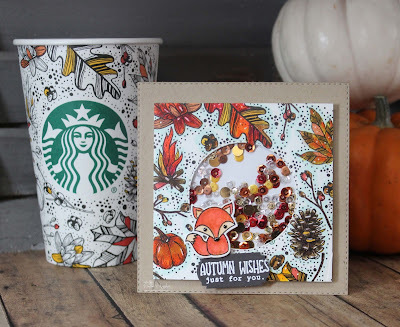 You can see EXACTLY how to cut your cup & turn it into a card HERE in Miss Kathy's video! Not only did I color mine, I wanted to also create a shaker card too! :) Now AS SOON AS I saw that she was using a Starbuck's cup, I IMMEDIATELY had to take a field trip to pick myself a cup to color in too! ;) I used my Clean Brush Watercolor Markers to color in the starbucks' scene! Here is better picture of this card! I just HAD to use the cutie little fox & sentiment from my "Fall Friends" stamp & die set! This next card is for day 2 of her 30 Day Color Challenge! Here is a pic next to the starbuck's cup so you can see a couple of the images that I colored & cut out! The die "Hello Fall" came from one of my revised set "Piles of Smiles!" I am HAPPY that there are dies included in this set to coordinate w/the images! I altered the images a little bit so I can make dies out of them! :) I am also watching Miss Sandy Allnock's blog because she is having a FREE 7 day class called "Go For The Gold!" Her last class is today :( But you can ALWAYS go back to her blog to start from day one! 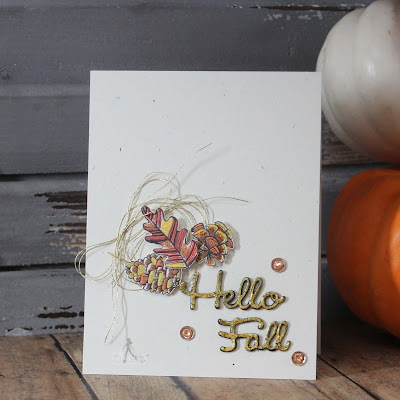 For my die sentiment "Hello Fall", I actually cut that out in black fun foam, then covered it using Viva Decor Croco Crackle Paint w/a thin paint brush! I like that it looks like that crackle finish it's supposed to have! I hope you all enjoyed my cards today! ALSO, I just wanted to let you all know that EVERY ORDER from our Sepember release HAS GONE OUT!!!!! YAHOOOO!! ;) I want to "THANK YOU ALL" for your patience! I don't think I will be doing anymore "Pre-order" releases anytime soon! ;) So again…. THANK YOU! So if you have ANY MCT stamps & dies on your wish list, you can take advantage of the sale for 24 hours ONLY! Sale starts TODAY, 10/3/2015 & ENDS tomorrow, 10/4/2015! Don't forget to use the code: WCMD15 at checkout to receive 20% off your entire "IN-STOCK" items only purchase! You can start shopping HERE! Good Morning Miss Emma.....OMG Your Starbuck's inspired cards are adorabs and Gorge!! Love your shaker it is so cute....you so did an awesome coloring job too....gosh Van Gough would be jealous!!! What a super funtabulous idea she came up with....Thanks for sharing your Craftabuloulosity!! Hope you have a Fantabulous week-end. YOU ROCK!! How cool of an idea. These cards are gorgeous. Wonderful work Emma. Emma...inspired, inspiring and all around gorgeous cards! I need to get to a Starbucks really soon! So ADORABLE!!! 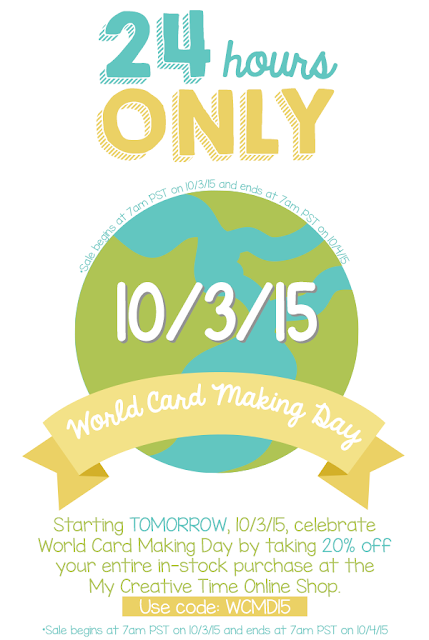 Happy World Cardmaking Day!!! LOVE LOVE LOVE your cards Emma!!!! What a great idea! I think I need to go get something in one of these cups :D Beautiful shaker card. Thanks for sharing your cute cards. LoVe them. Thanks for sharing. Emma ~ Oh both of these are simply GORGEOUS! LOVE the inspiration and oh my the colors ~ BEAUTIFULLY done! Did you win an MCT Designer Challenge? Grab your badge below!